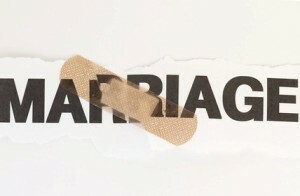 As I listened to a caller on my cell phone describe the state of her marriage, I could hear the anguish in her voice. She was in deep distress in where her marriage was headed. She needed some tools on how to talk with her husband, how to communicate better and hear his needs and share hers and her concerns. This couple was not connecting whatsoever. This frustrated her to no end. She loved him and admitted her faults to him and wanted a fresh start in their relationship. He wasn’t so sure that’s what he wanted. There was a great deal of pain on his part from his past relationships, and now he was comparing her to old girlfriends. This is not a place where couples want to go. It’s easy to get caught up in this kind of thinking. But, it’s also poisonous thinking and a killer of borderline marriages in crisis. When our marriages seem hopeless, we seem to struggle with finding ourselves and finding answers to our problems. It’s not easy being in a tight spot, and sometimes we say and do things that we don’t even understand. Hopelessness is a very strong word, and for many, it is a word that describes the situation their in. I often tell people if you’re in that spot, it’s best to step back and evaluate and take some time to let things set in and then make your next move. I believe in the realm of marriage relationships nothing is hopeless; some wise choices must be made. Whether moving on or sticking it out and working on your relationship, that is your choice. I had a man come to my office and share his concerns about his marriage. He mentioned that he saw nothing but divorce in his future. His wife was always angry and they rarely communicated with each other. He hated going home, and I later found out she didn’t want him coming home. What a miserable existence they both lived in. We talked, and I gave him some idea’s on how to better communicate and how to become a better listener. Both felt that these were common problems in their marriage. I told him nothing is hopeless as long as you both can come to the table and talk. Learn about each other’s needs and wants. Learn to be able to share details and connect at a deeper level. Keep away from surface talks I told him, get to the point but be compassionate when you talk. Avoid blaming each other for past mistakes. Look to your future together and move in that direction. Avoid the pitfalls of bunny trailing in your conversations. Stay on topic. 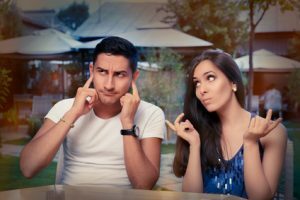 Unpleasant conversations can be hard but must be dealt with immediately if there is any chance of saving a relationship. What kinds of situations are called for immediate talks? Next week we will continue part two in this series. Do you feel hopeless about your marriage? Have you given up and feel there is no way your marriage can be saved? Do you want to save your marriage but don’t know what your next steps are? Do you want to improve your communication and need help in restoring it? If you answered yes to any of these questions, you need to contact Dr. Mike and set up an appointment. Don’t allow hopelessness to destroy your relationship. Please call Dr. Mike at 303.880.9878. He can help you. He has helped several people going through tough times.